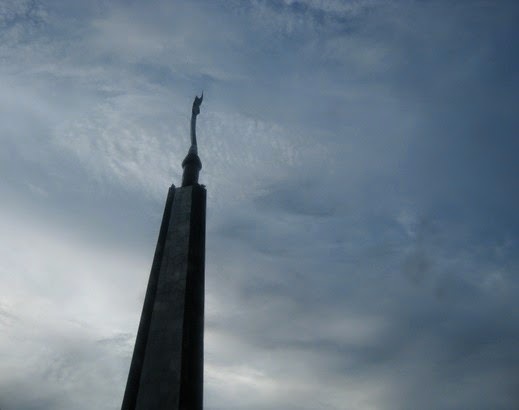 Kujang Monument is the sole monument of my city. The sky and monument captured in dusk time. For me, the gray sky around it looked dramatic. I captured this moment from our car while waiting for the green traffic light. Love the composition and colours! A true blogger you are, camera always close at at hand. You never know when you will get a good shot like the one you posted.